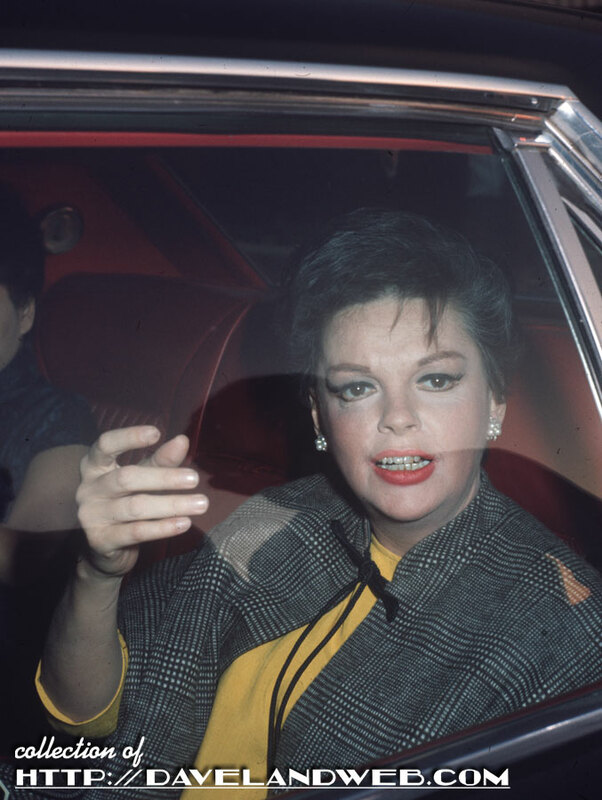 The paparazzi were around even back in the sixties; this October 1965 image shows Judy Garland (could that be Liza next to her?) being whisked away in a car before another shot can be taken of her. 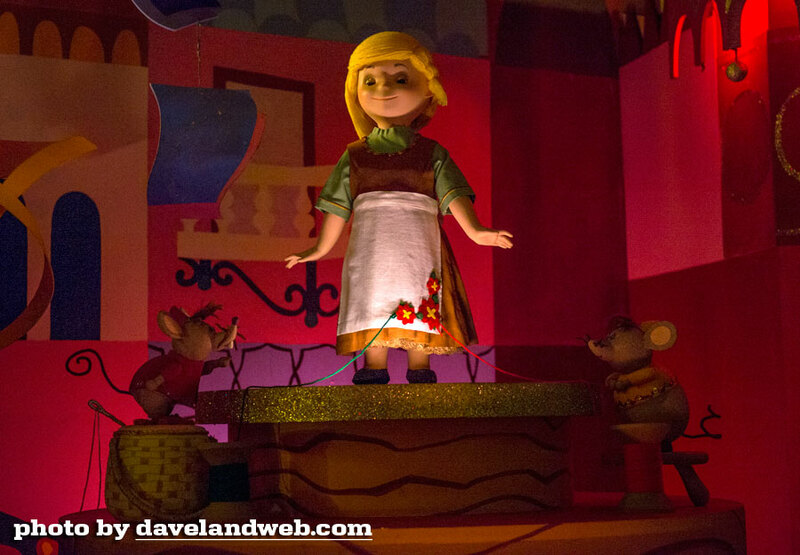 More Judy photos from my collection at my main website. 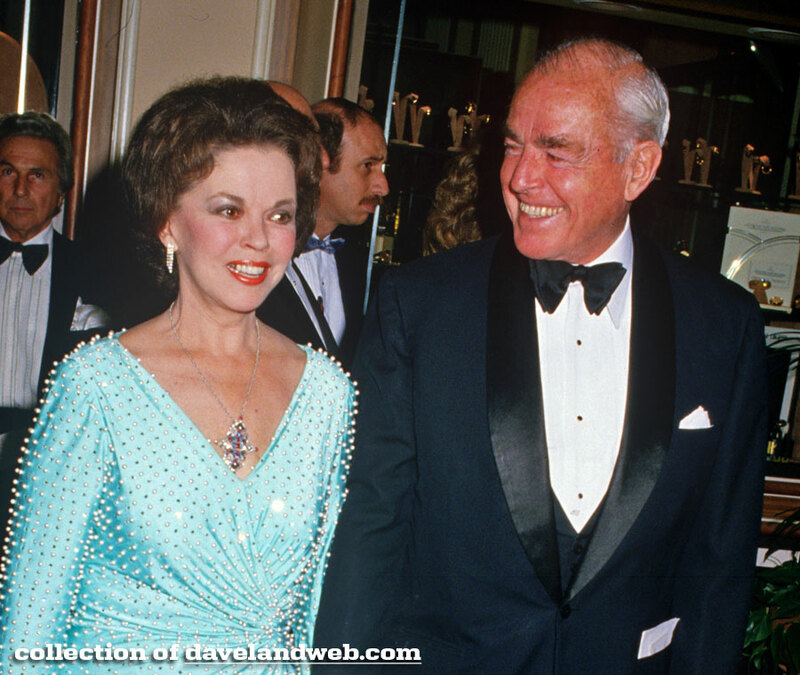 Here's a shot of Shirley and husband Charles Black from the 1980s. 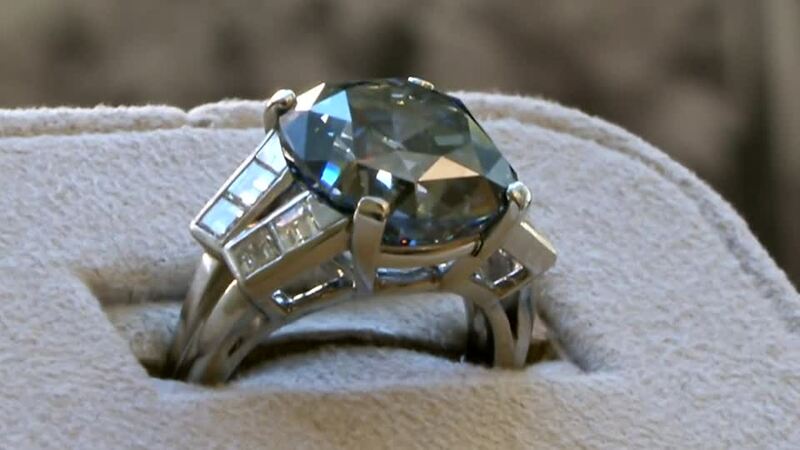 Not sure if the rock on her hands here is the same one, but she continued to wear the 1940 ring throughout her life. 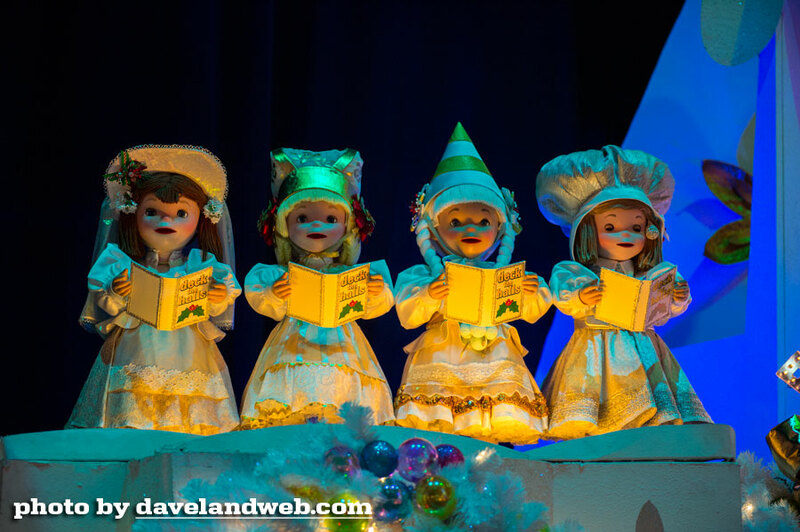 More Shirley photos at my main website. 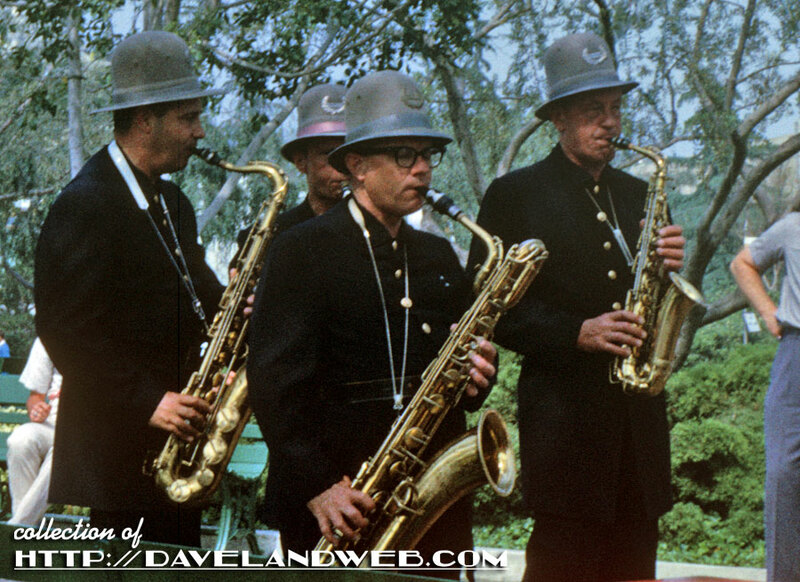 Today you get a double-shot of the Keystone Kops at Disneyland, best known for entertaining the guests with their saxophones. 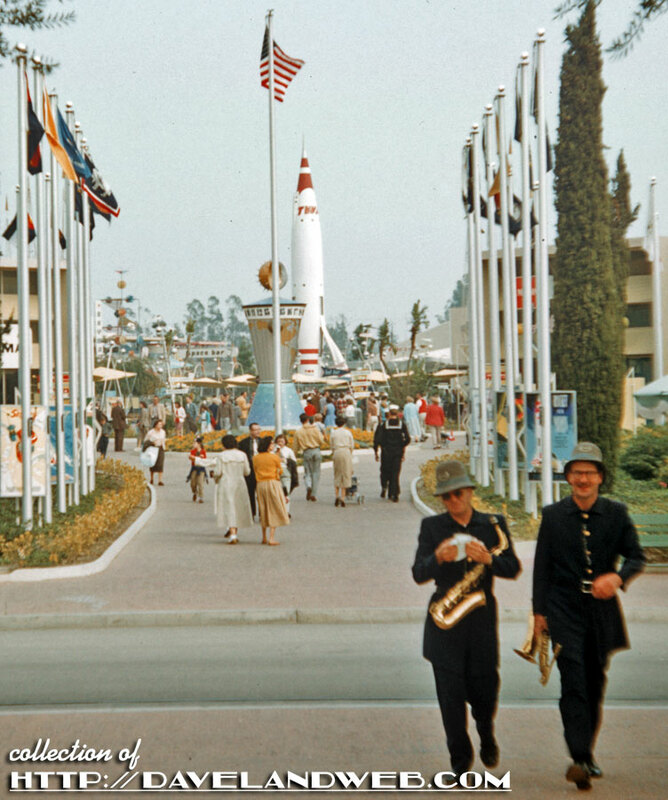 First image is from March 1958, showing two Kops entering Central Plaza with the Tomorrowland entrance behind them. 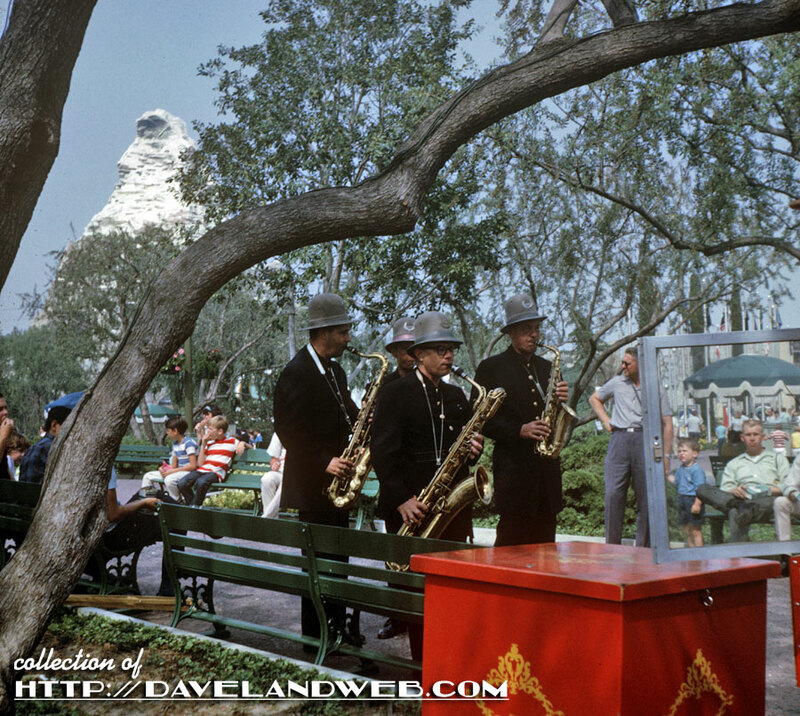 I see a tenor and baritone and one alto sax; can't tell what the partially hidden Kop is playing. 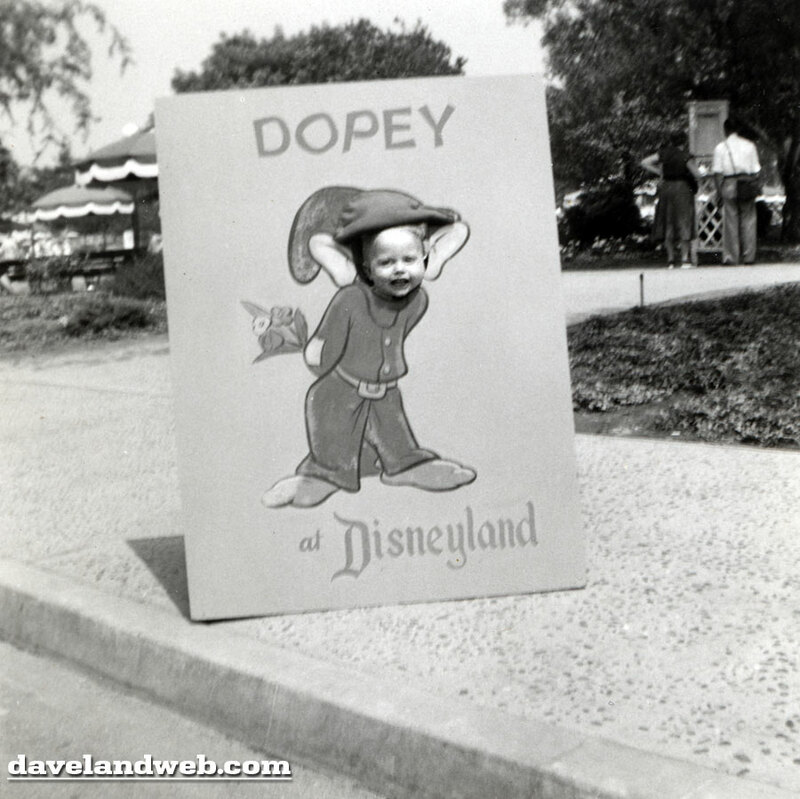 More vintage (and current) Disneyland photos at my main website. 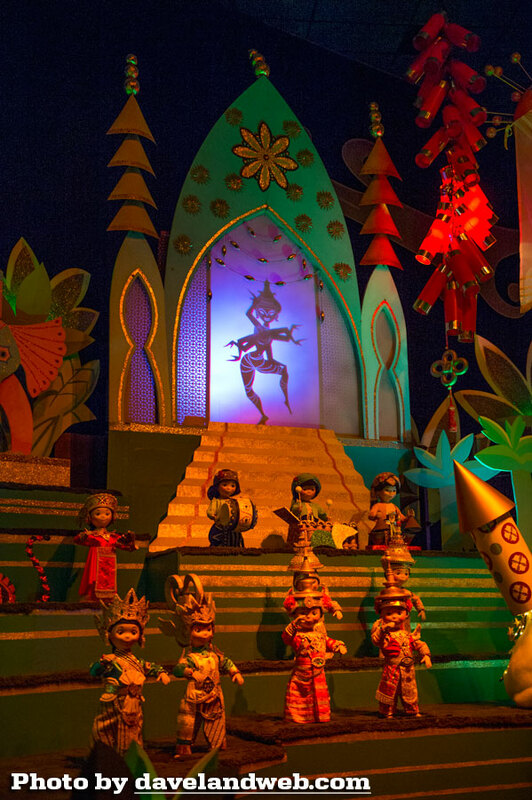 While this installation of classic Mary Blair in Tomorrowland is greatly missed, it has always seemed a bit out of place stylistically for the land which it was created. 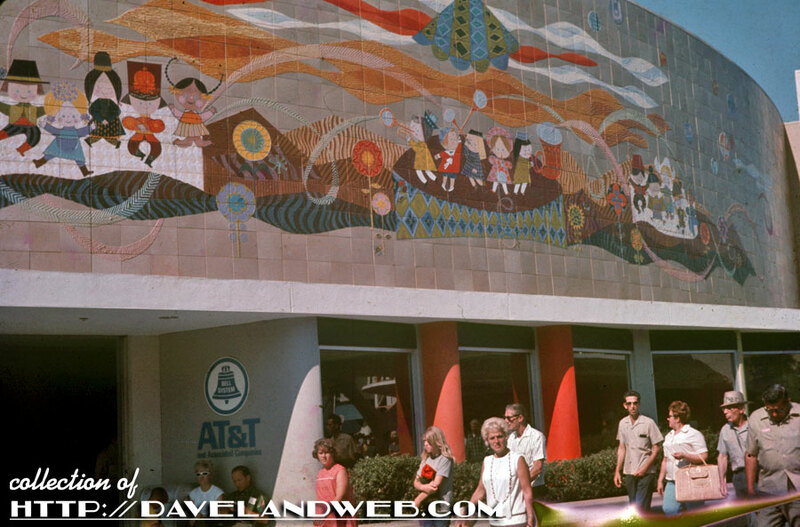 This September 1968 shot provides a nice view of this long-gone mural by the beloved Disney artist. 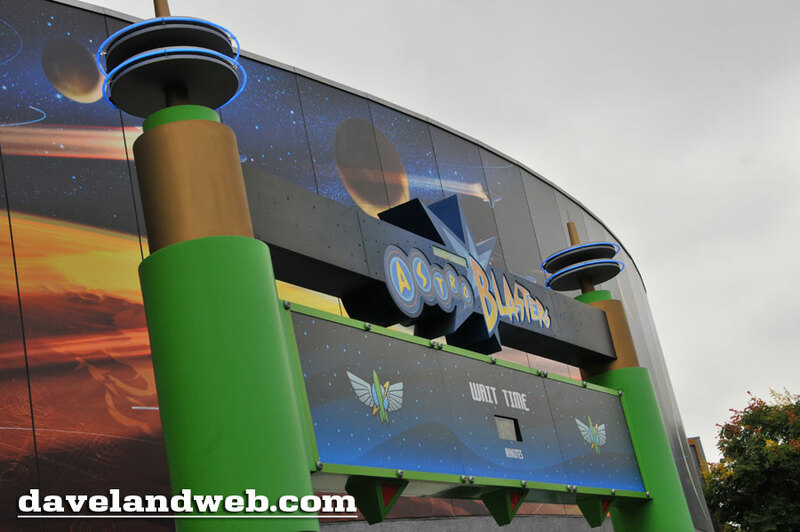 Today, Buzz Lightyear Astroblasters has taken over the real estate where Blair once resided. 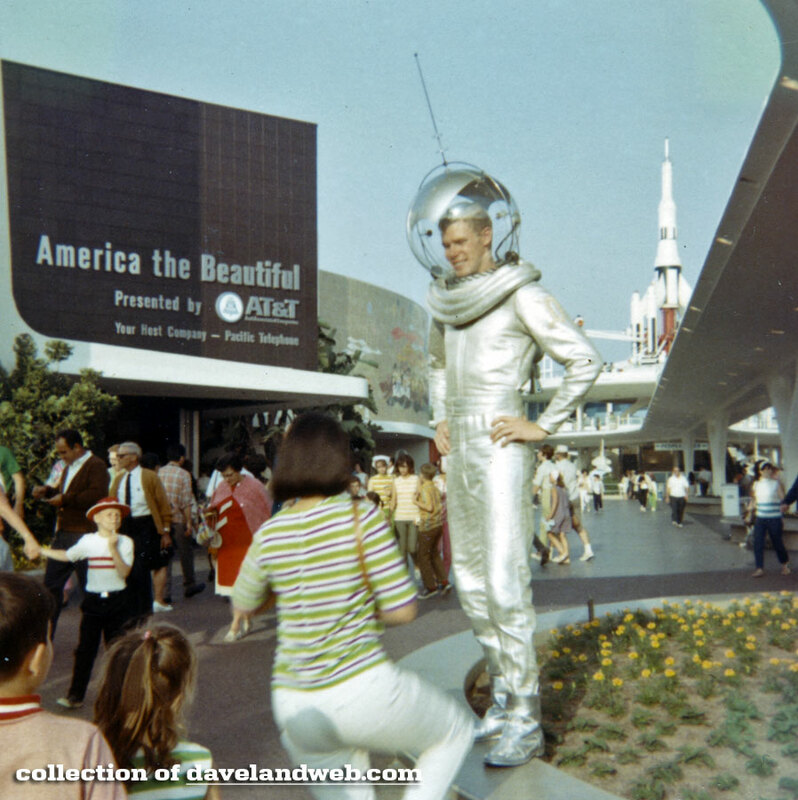 More vintage (and current) Tomorrowland photos at my main website. 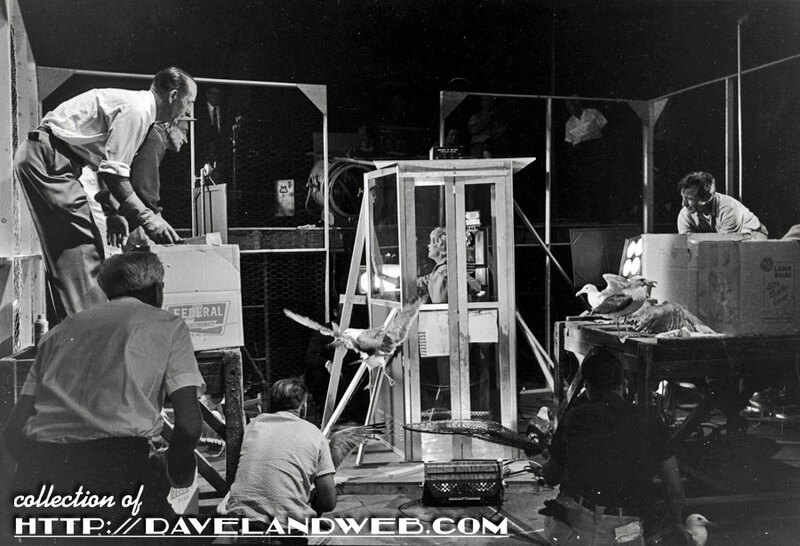 Today's image shows a rare behind-the-scenes shot from the 1963 Alfred Hitchcock movie, "The Birds." 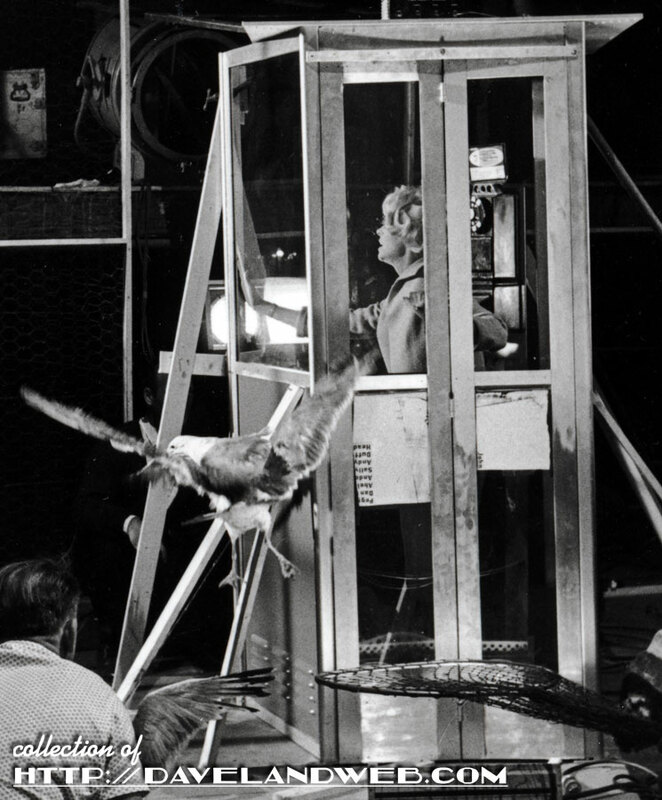 Tippi Hedren is seen in the prop phone booth, getting ready to shoot one of the more harrowing scenes from the film. 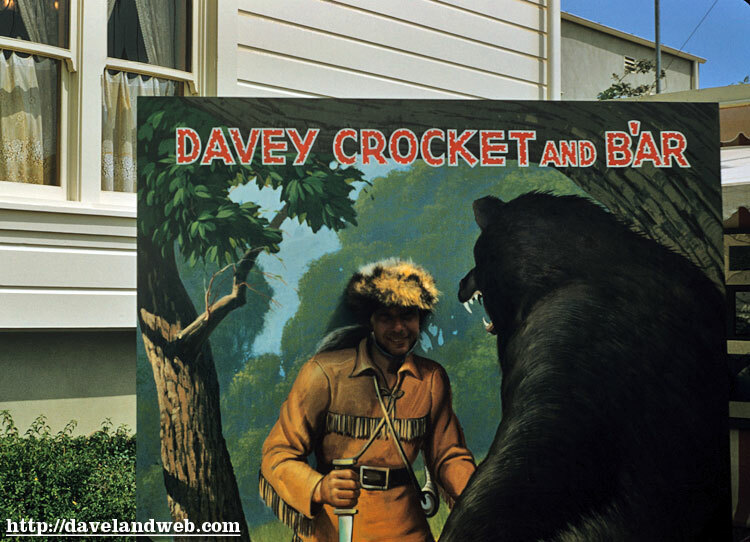 In the detailed view, you can see that yes, they really were throwing "live" birds at Tippi. 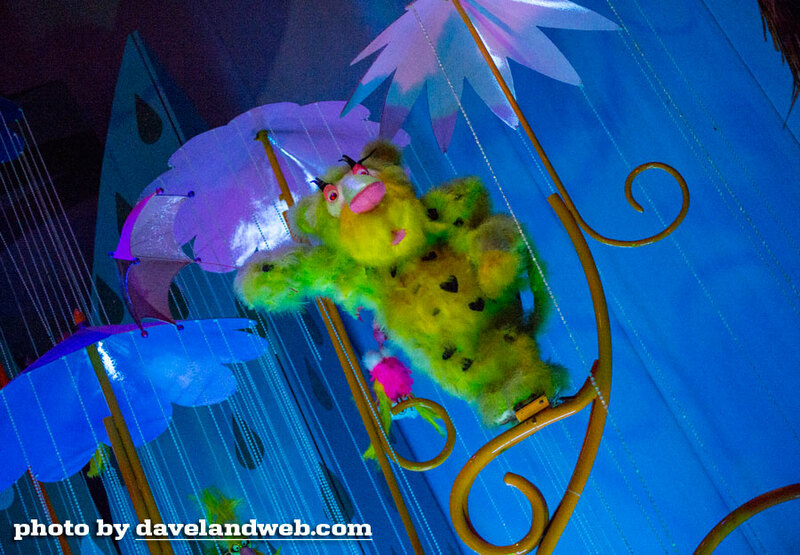 Hollywood is not always so glamorous! 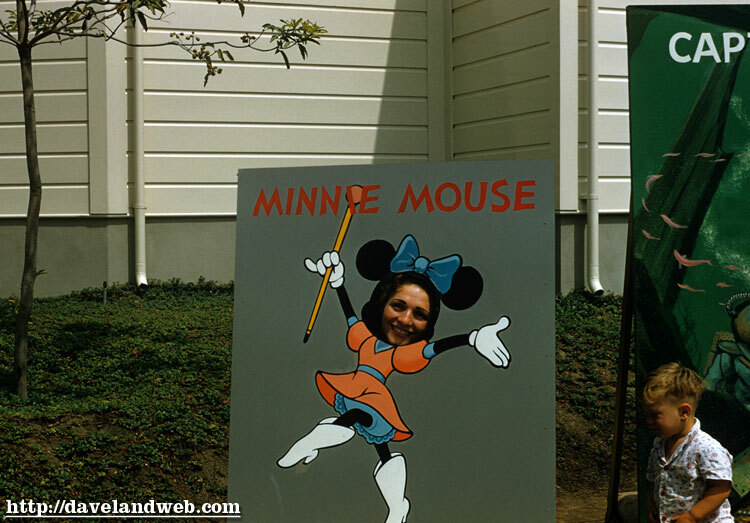 More Tippi Hedren photos at my main website. 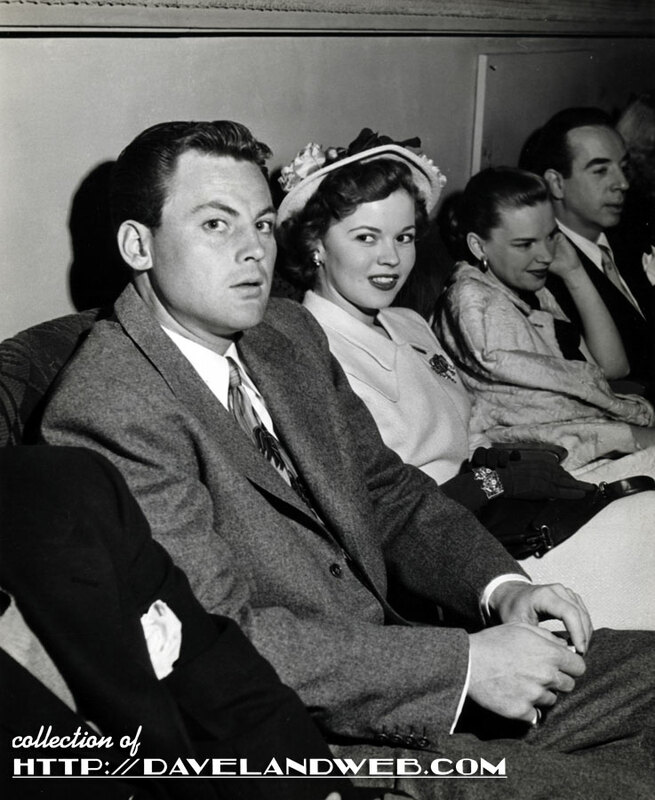 In what appears to be either the most awkward double date or just a forced publicity still, Shirley Temple and first husband John Agar are seated next to Judy Garland and her second hubby Vincente Minnelli. 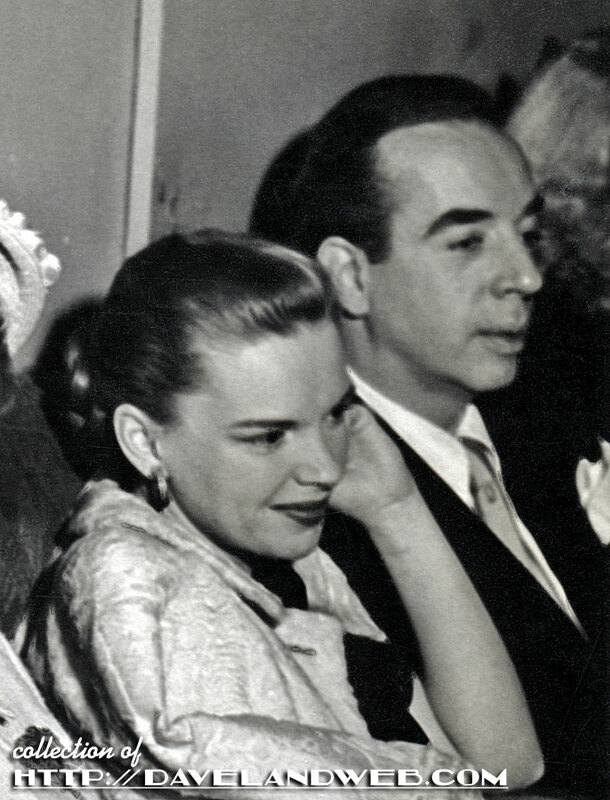 The blurb on the back of this shot says that they are at the 1949 premiere of "Passion." Never heard of it. On Angela Lansbury's Twitter page, she identifies this as being the premiere of the December 1946 film “Paisan,” an Italian war drama. 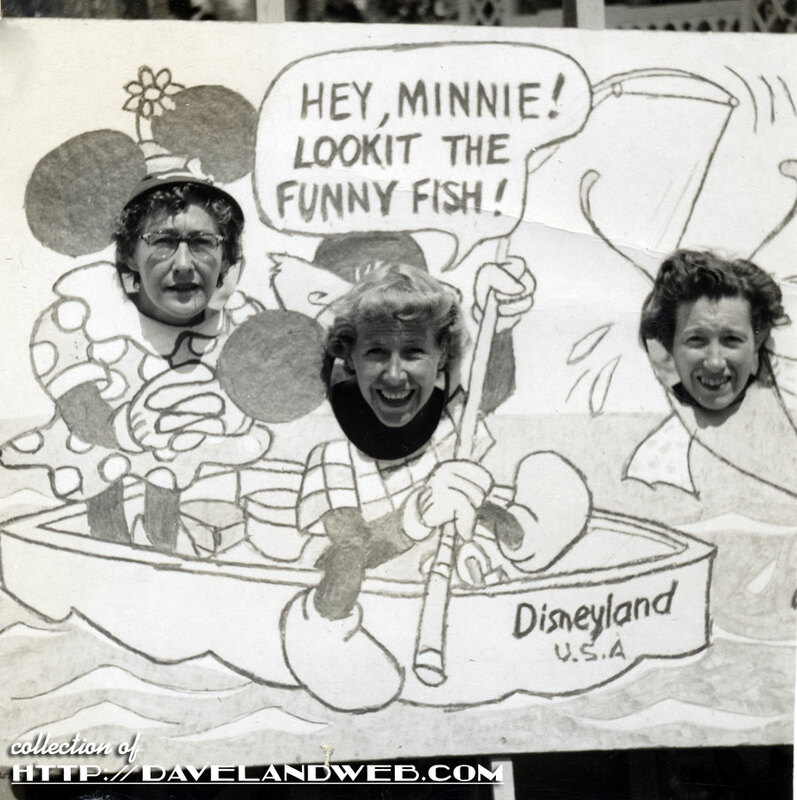 Still, Shirley and Judy look older than they would have in 1946. 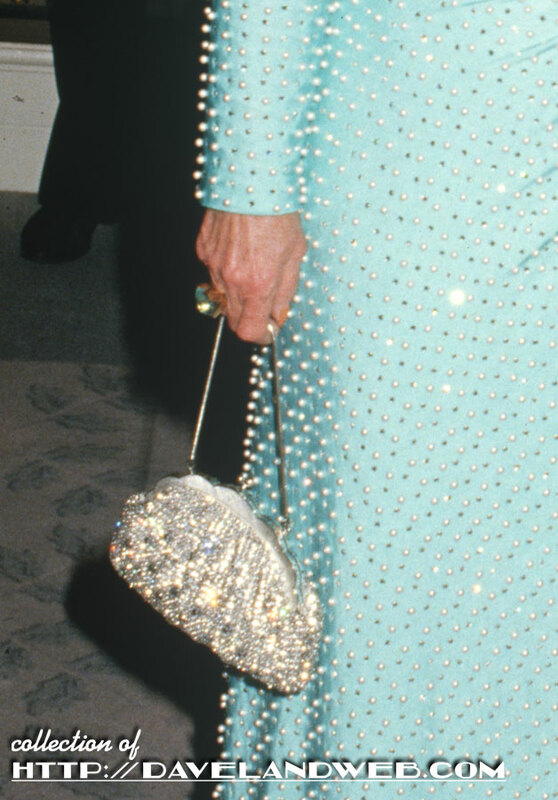 Lansbury and current beau Peter Shaw were cropped out of this shot, but were in attendance. Poor Judy looks like she just wants to crawl under the seat. 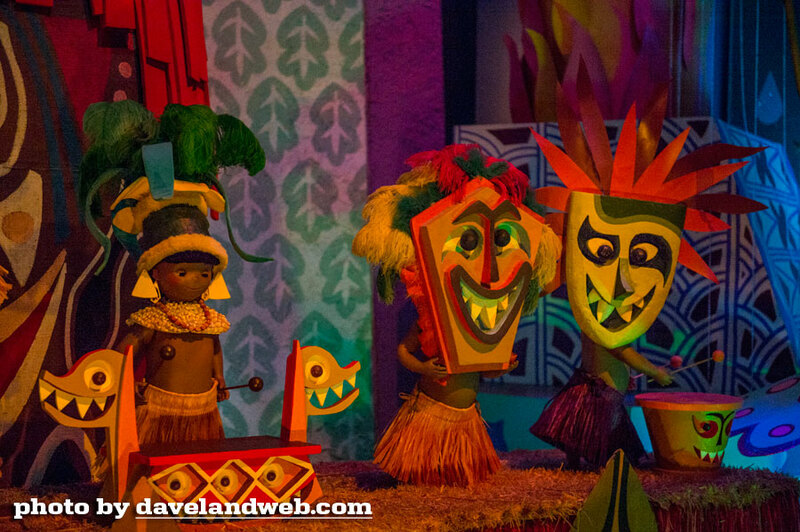 Oh to be a fly on the wall here. 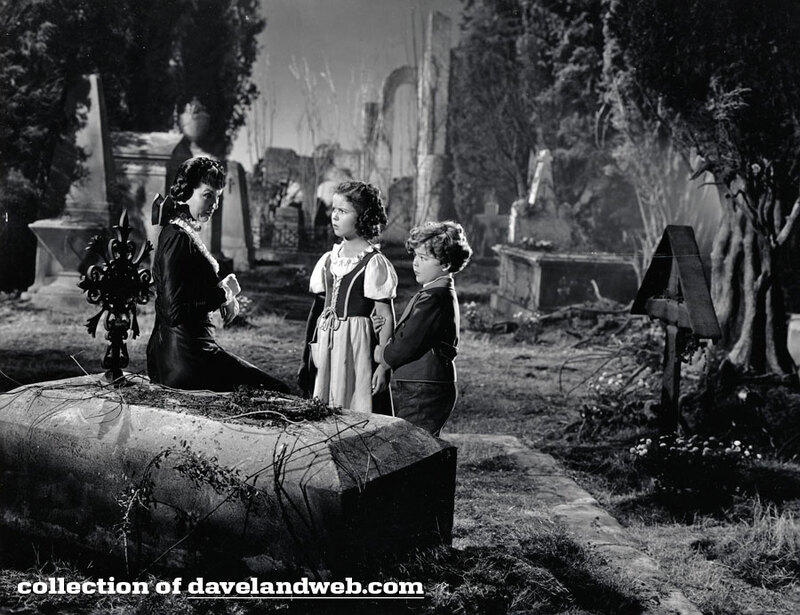 More vintage Shirley Temple photos at my main website. 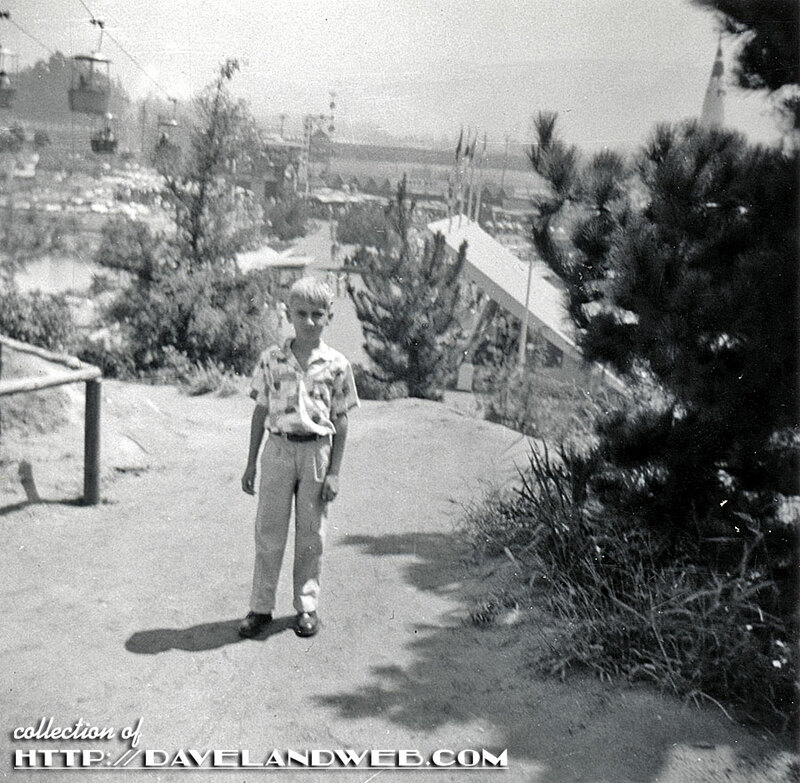 These two rare photos show a little boy standing where the Matterhorn would eventually be constructed. 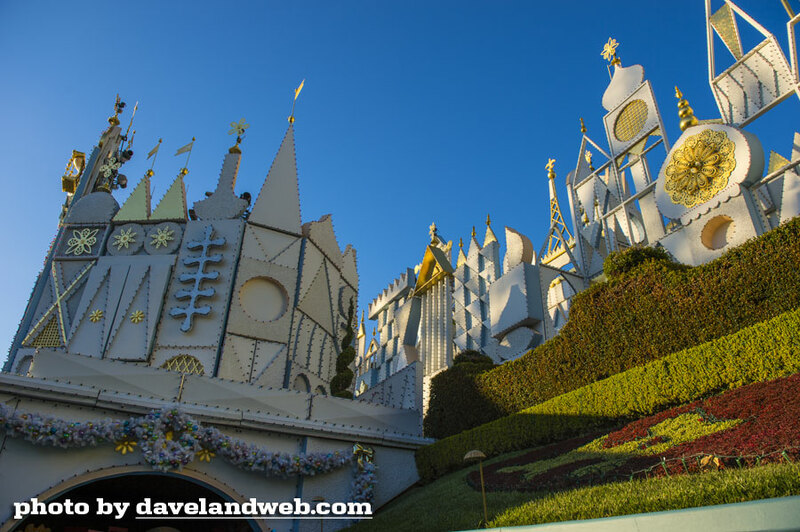 Dubbed Holiday Hill, Snow Hill, Lookout Mountain, and even Lover's Lane, this little mountain constructed of dirt from the Castle moat gives a lovely view of Tomorrowland. 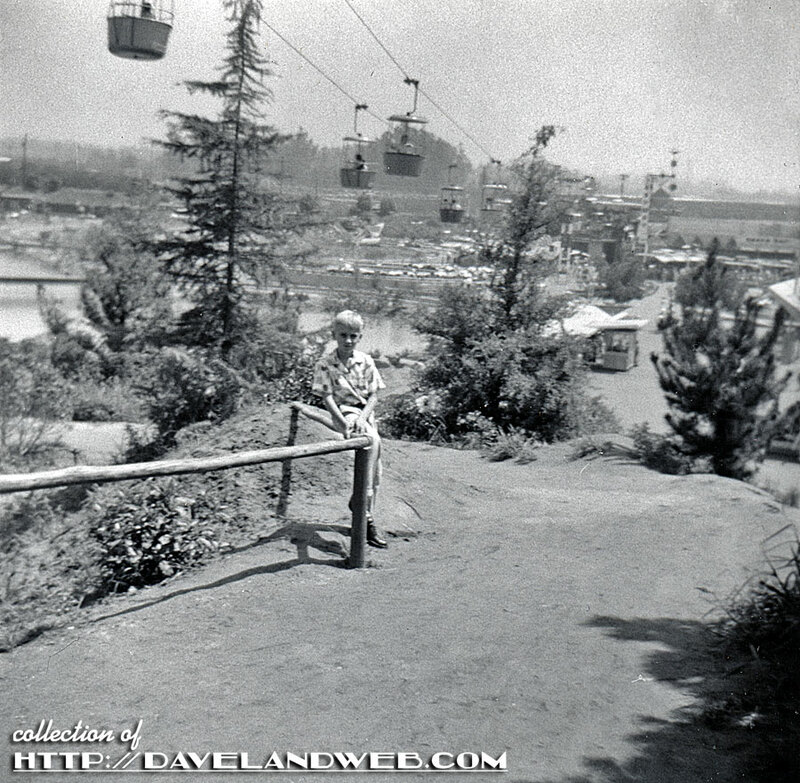 Although these photos were dated January 1961, they must have been reprints, as the Matterhorn was already built by that time. 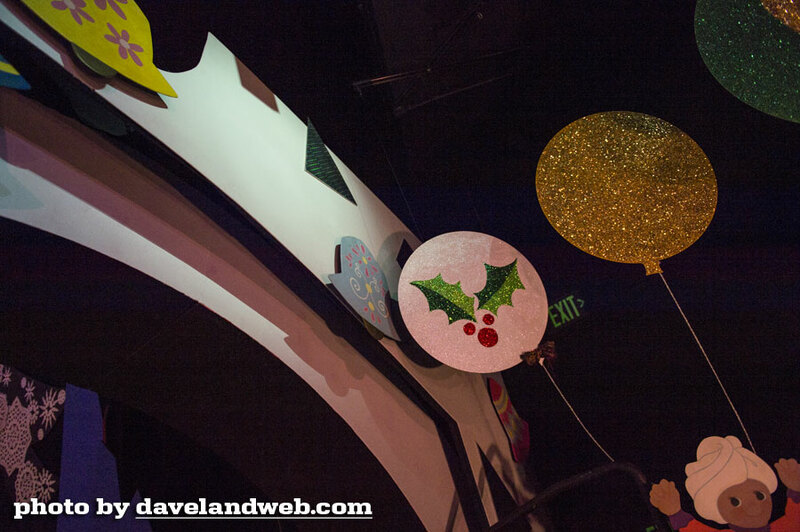 More Holiday Hill and Matterhorn photos at my main website. 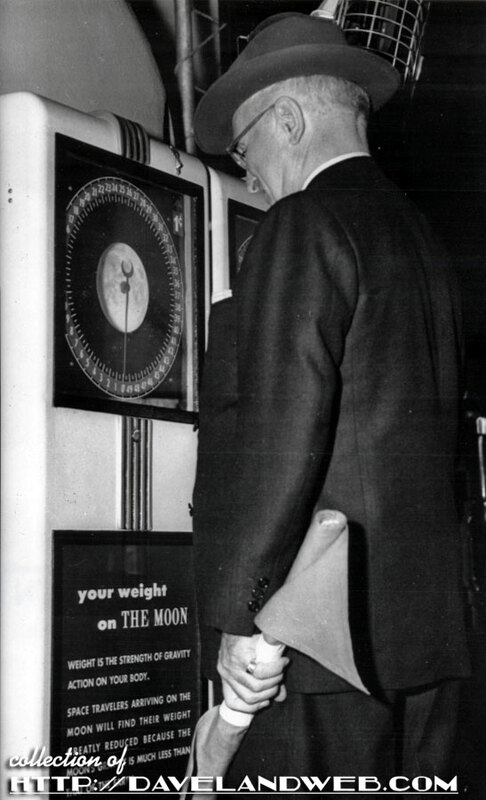 11/6/57 - ANAHEIM, CALIF.: Harry S. Truman, on a visit to Disneyland 11/2, keeps up with the times as he gets the data on what he would weigh on the moon. 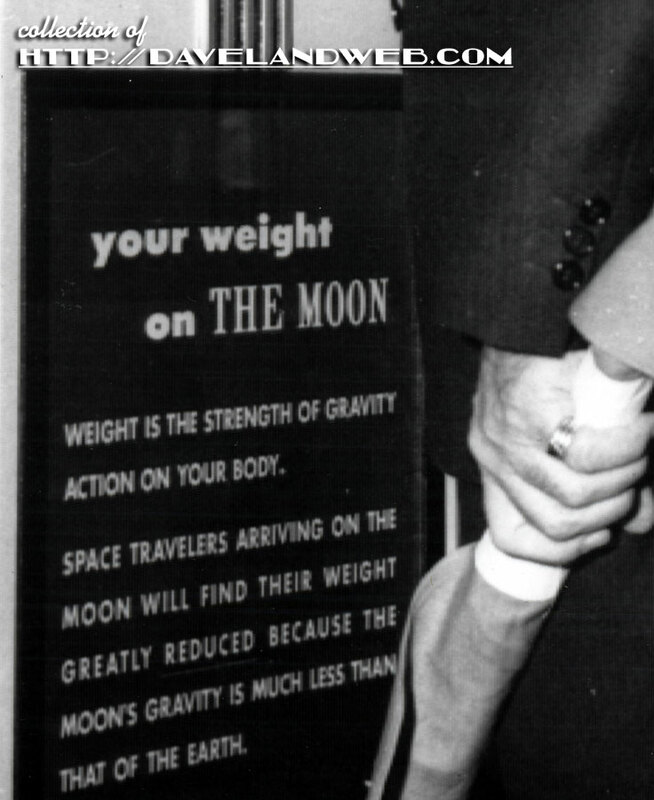 The fun house scale gives "your weight on the moon." 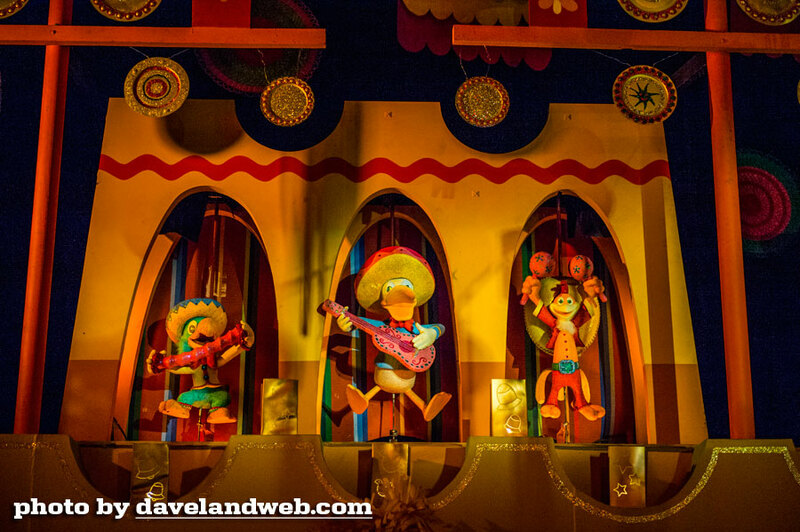 More Rocket to the Moon and Moonliner attraction photos at my main website. 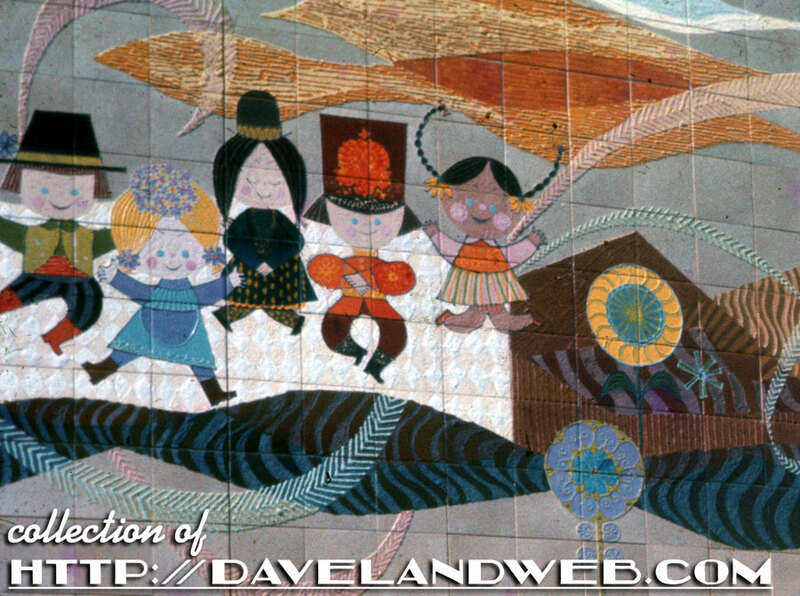 More Central Plaza images at my main website. Sorry for the rushed post, but hopefully this April 1959 image is good enough to suffice for today (while I am out taking other images!). 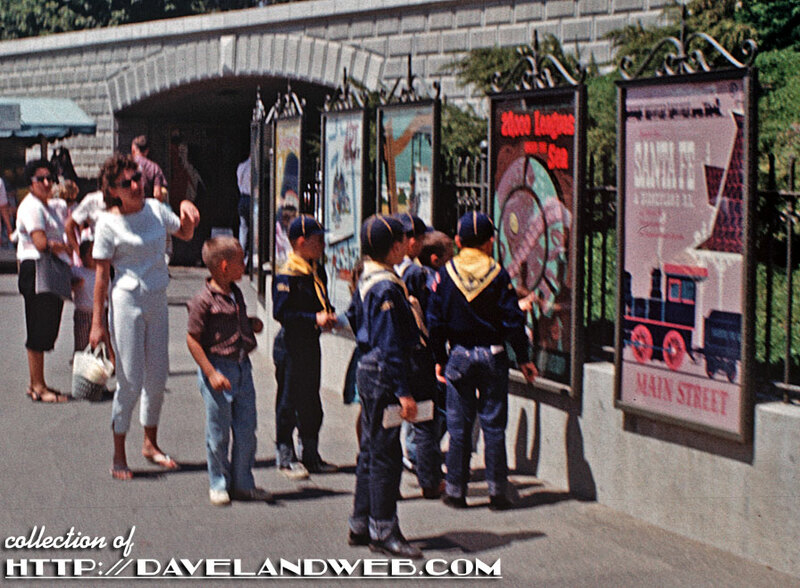 I am sure many of you are jealous of these Boy Scouts being able to pour over these vintage Disneyland attraction posters at the entrance to the Park. Mom doesn't seem to be quite as excited. 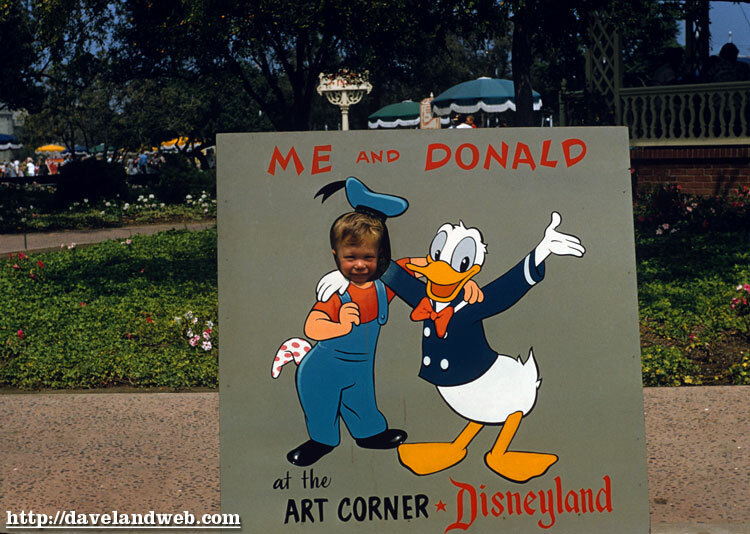 See more vintage and current Disneyland entrance photos my main website. 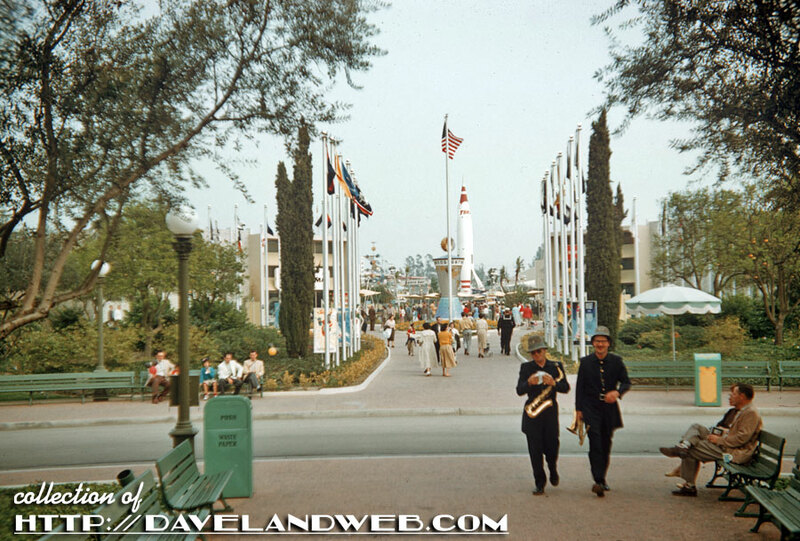 This undated photo shows the "New" Tomorrowland, the favorite Tomorrowland of most vintage Disneyland geeks. 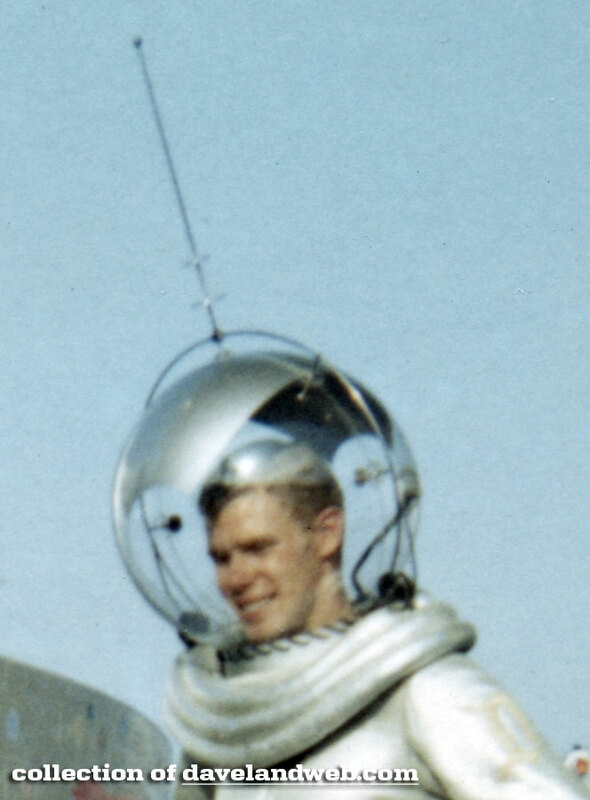 The Spaceman survived the transition but not for very long. Here he is, model ready for his female admirer. 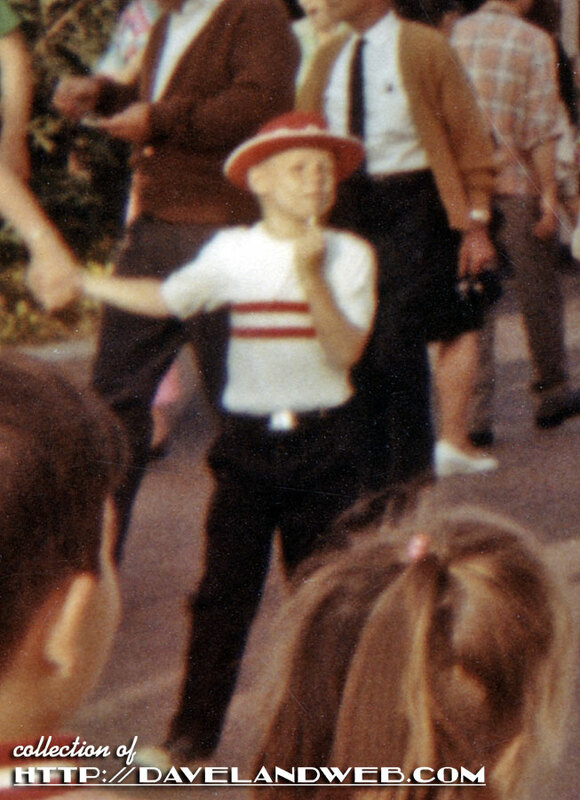 Could this little boy in the red cowboy hat actually be snubbing the future? 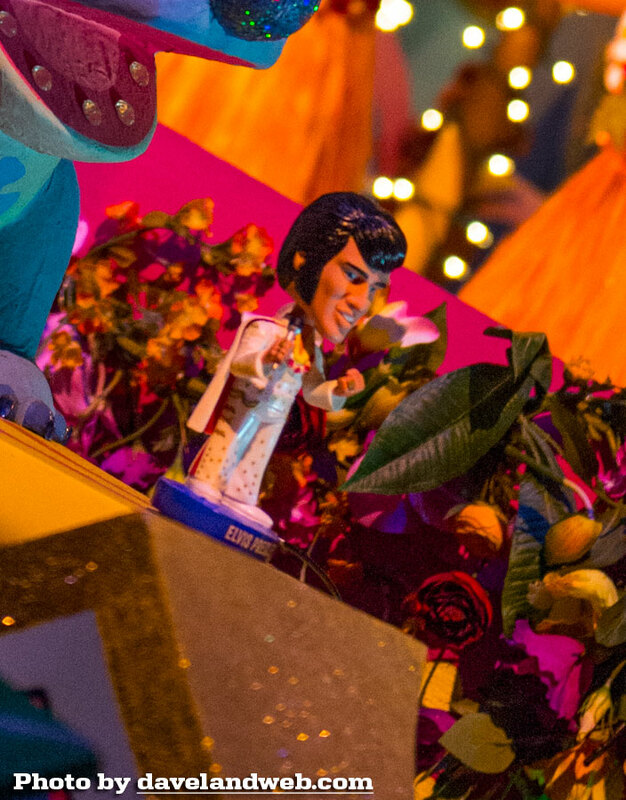 I am sure mom would have scolded him if she'd seen the face he was making at the Spaceman. 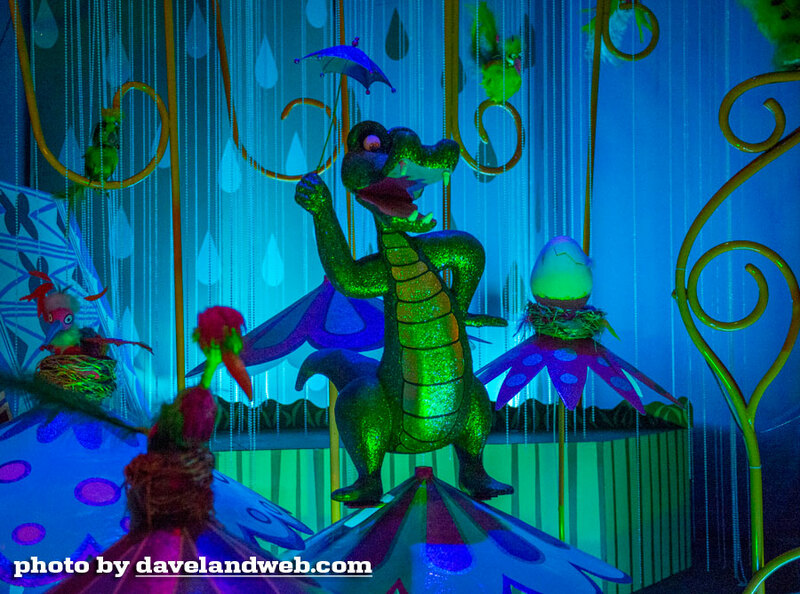 More of the beloved Disneyland Spaceman my main website. 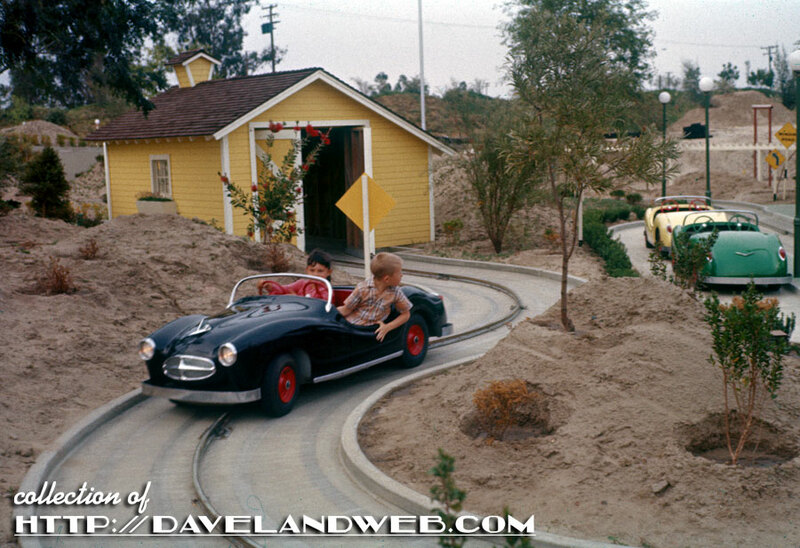 Check out this undated image (most likely 1957) of a young Bonnie & Clyde driving their getaway car through the Disneyland Midget Autopia. 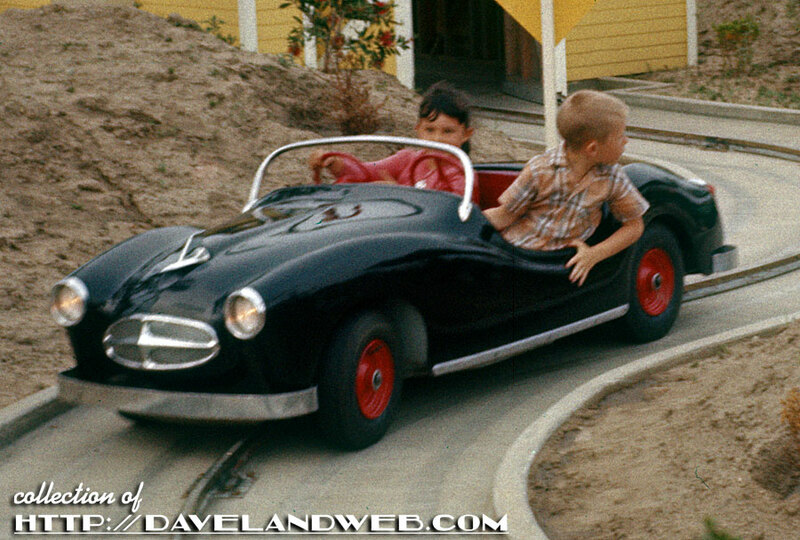 Bonnie is concentrated on the wheel; Clyde is looking at something unknown. 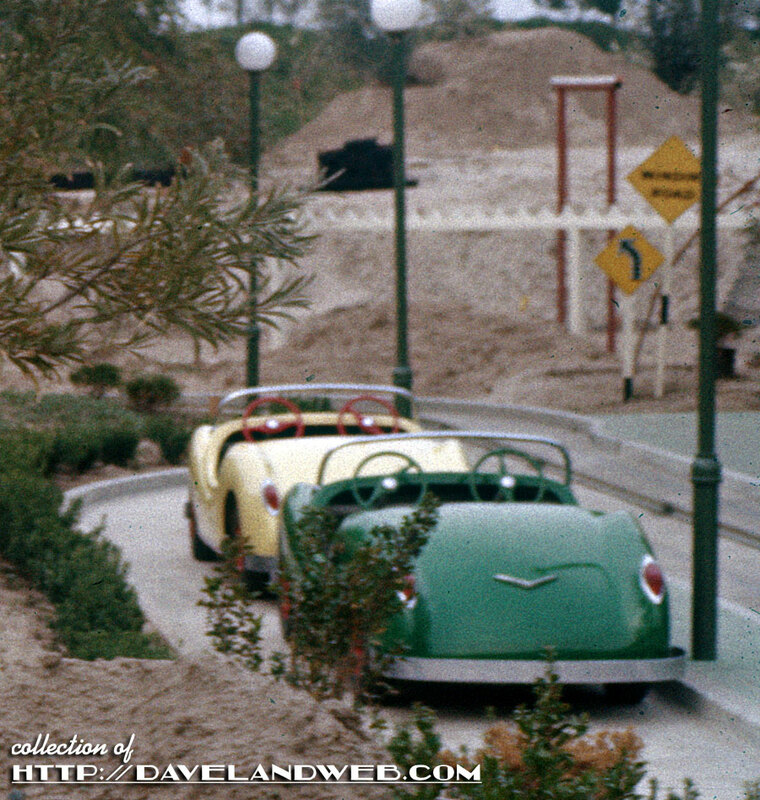 Could it be the two parked cars that he is plotting to make his own? 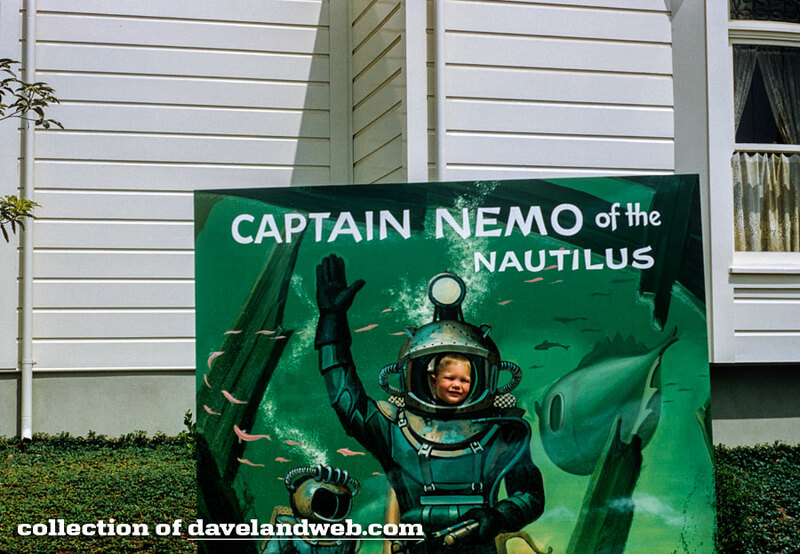 Beware of youngsters behind the wheel! 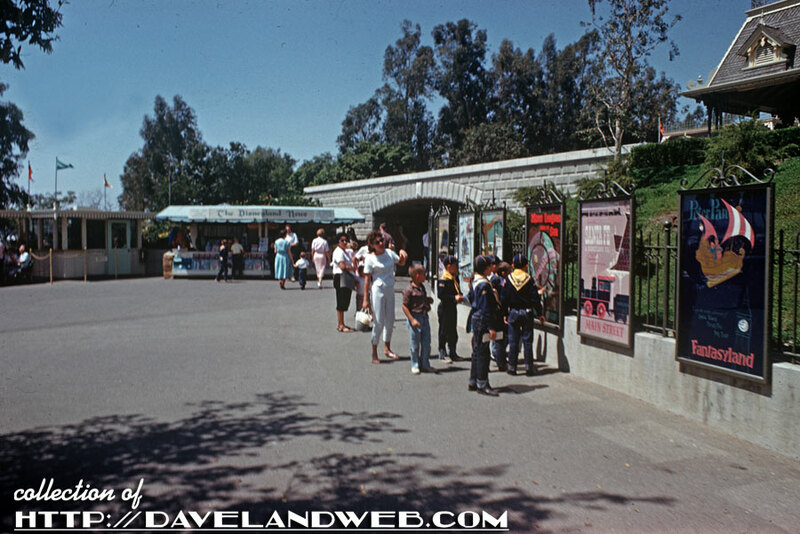 More Midget Autopia attraction photos my main website. 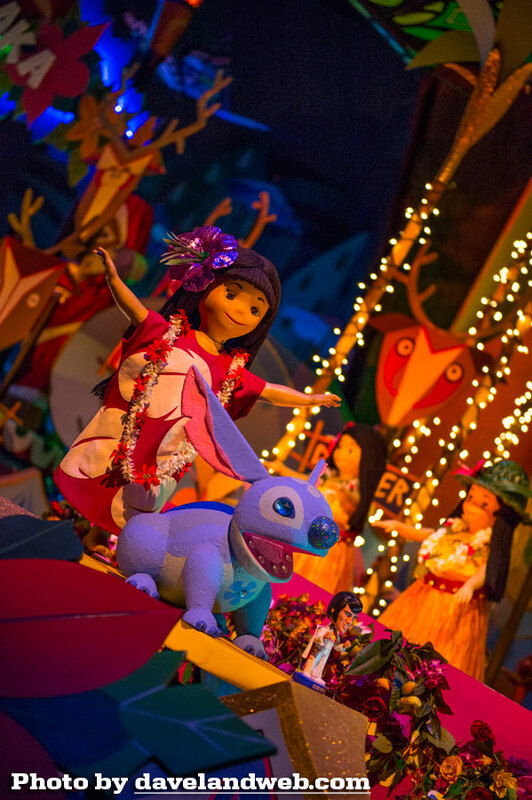 If you are missing the holidays, then this post is for you. 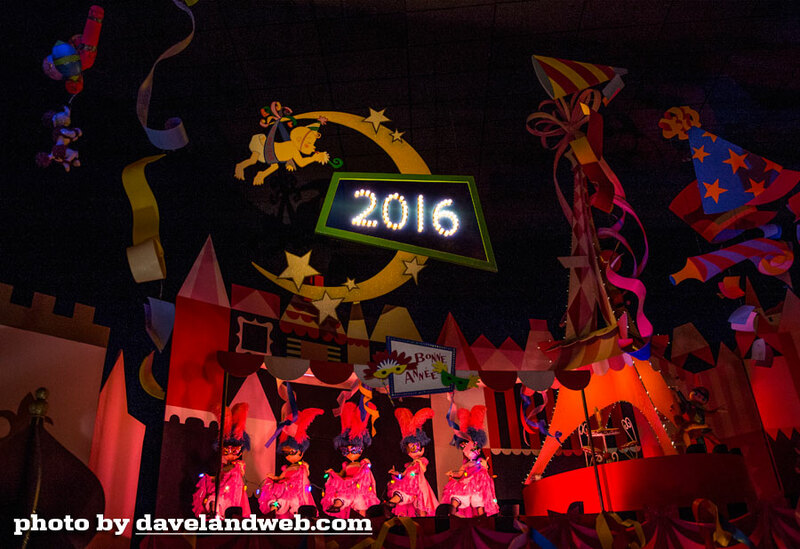 If not...come back tomorrow! 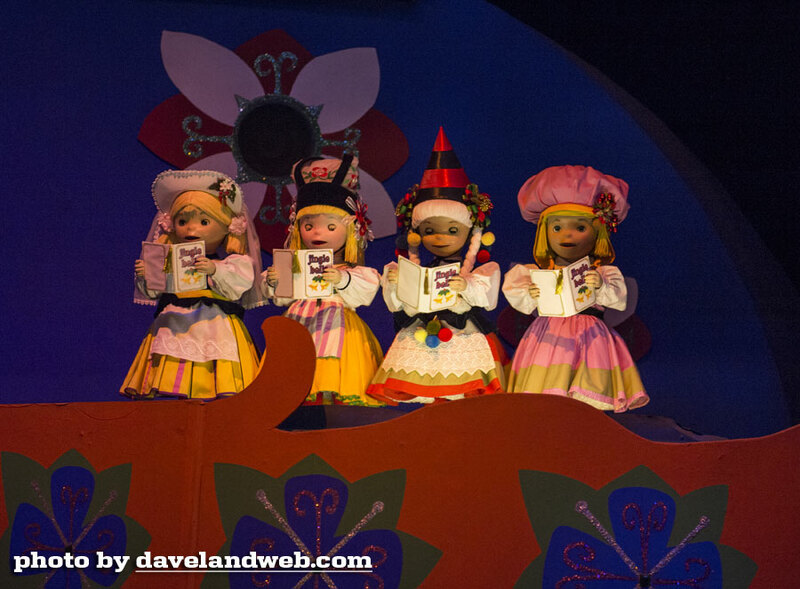 Today I am featuring a chronological ride-thru of it's a small world: the holiday version. 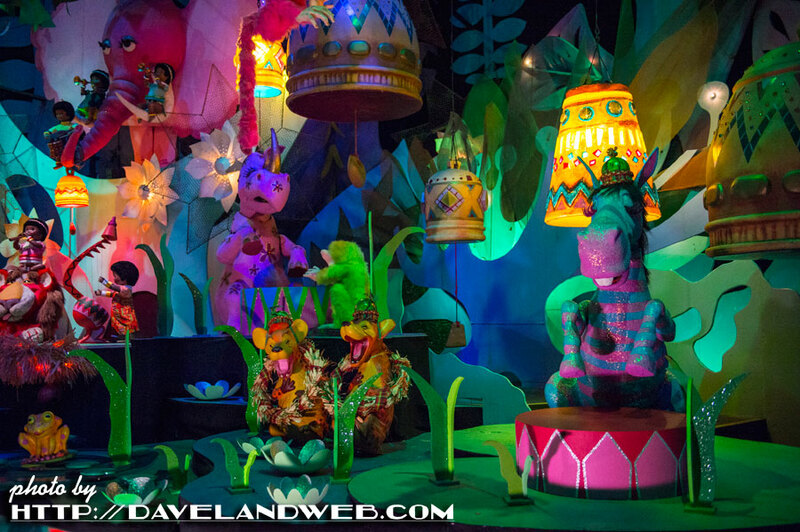 I typically avoid this attraction like the plague, as the Sherman Brothers' memorable tune stays in my brain for days. 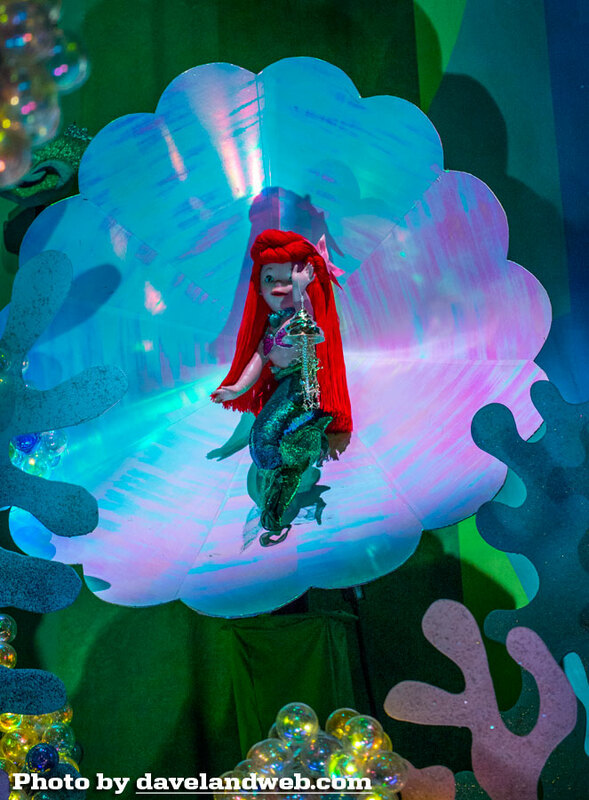 However, for the sake of my niece, I made a sacrifice. Hope you appreciate! 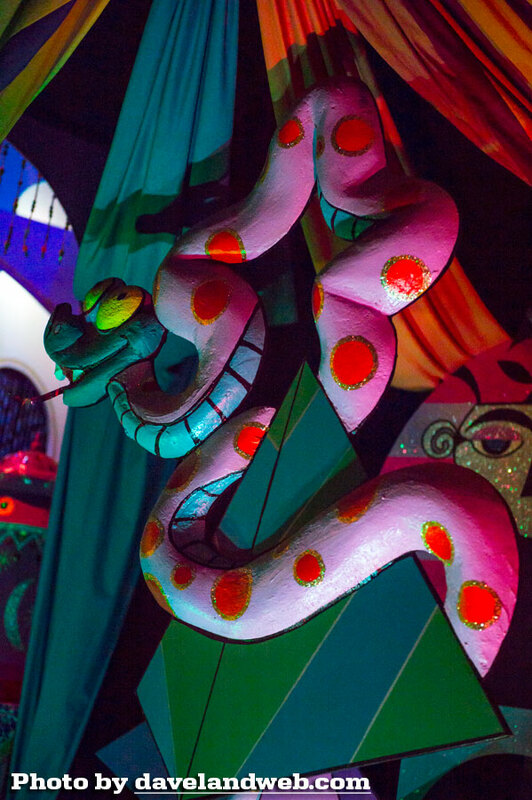 One of the controversial Disney animated characters that was added a few years back. 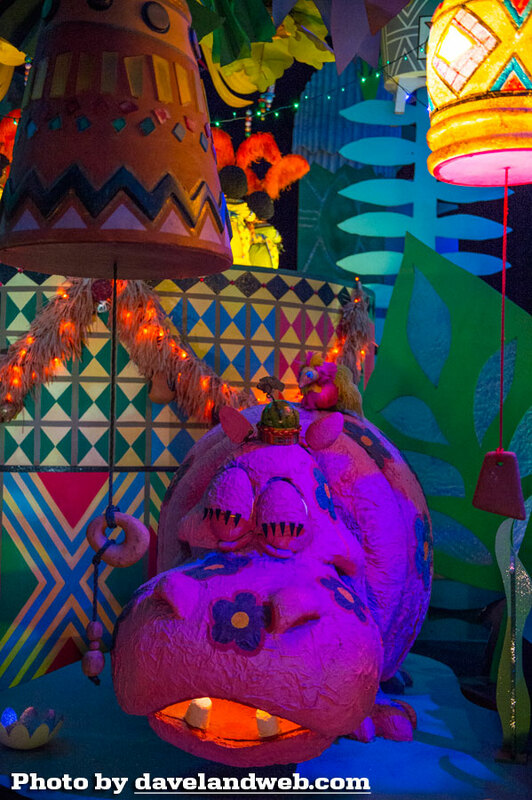 To me, the whole thing was a tempest in a teapot. Looks like I missed both lists. 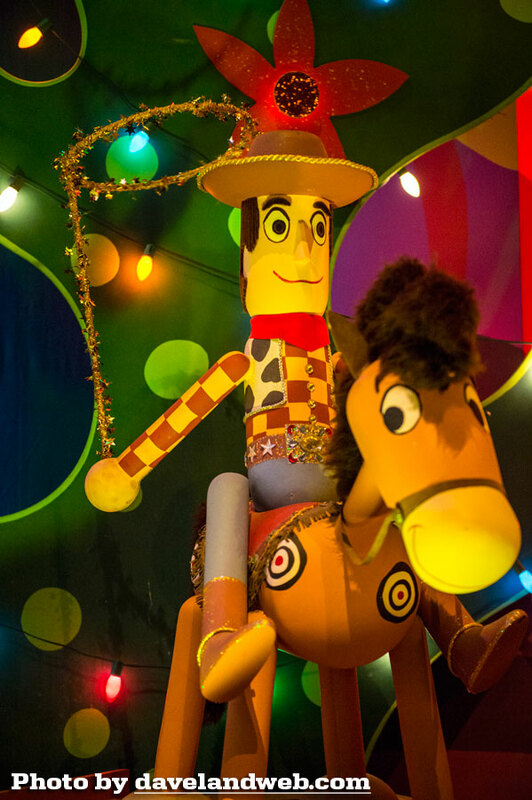 Woody and the Americana scene; the one sloppy area on this attraction that just does not fit. 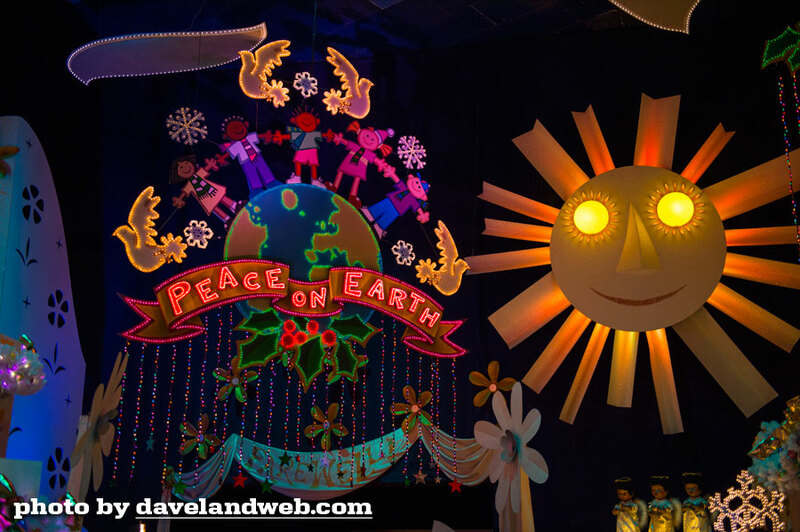 Peace on Earth: a message that should be followed year-round. 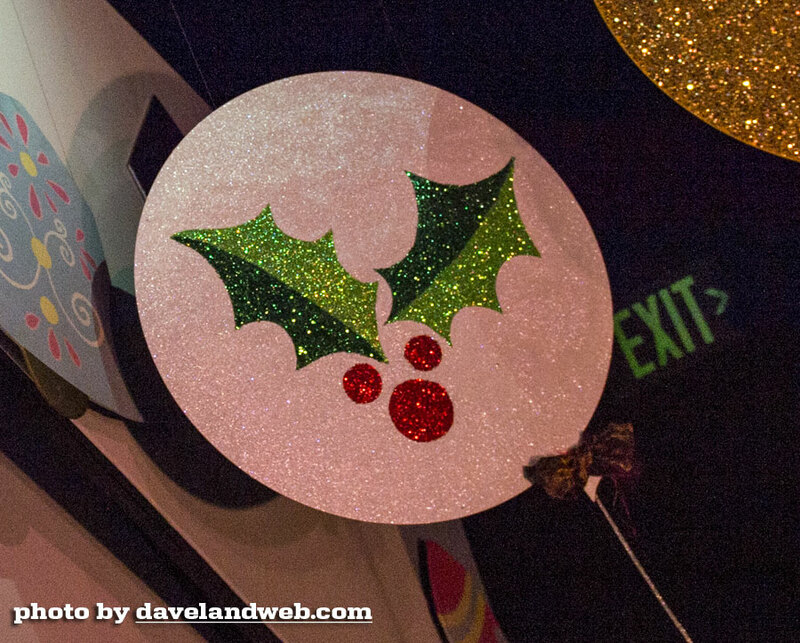 Continue the holiday celebration at my main website.